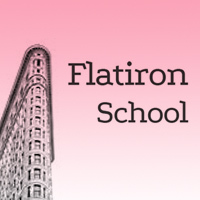 A New York-based Flatiron School is a 12 week, full time, intensive programming boot camp, designed to turn you into a Ruby-on Rails web developer. The goal of the program will be to give you the equivalent skillset and experience of an entry-level Ruby developer. That means you’ll be an internet swiss-army knife, equipped with all the tools needed to build applications. You don’t need any programming experience to attend, just a strong desire to create and a whole lot of grit. The cost for the semester is $10,000. However, if you accept a position through their job placement program, they will refund $4,000 of your tuition. Grants and scholarships are available for students from underrepresented groups like females and minorities.